In this post, I would love to share with you my 15 best off the beaten path spots in London. London is one of the most crowded cities, I’ve ever been to and I’m lucky (or unlucky) depending on how do you feel about it, to call it home. 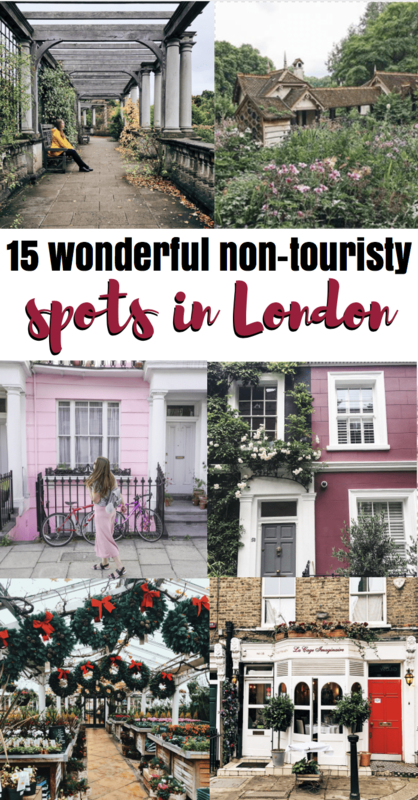 While pretty much everybody knows about the top spots to visit in London, I wanted to focus on non-touristy London and share with you my best discoveries of the last couple of years. I moved to London in July 2017, but I visited the capital a countless number of times before moving there. Of course, during my first visit to London, I only visited the most touristy places, such as Tower of London or the British Museum. 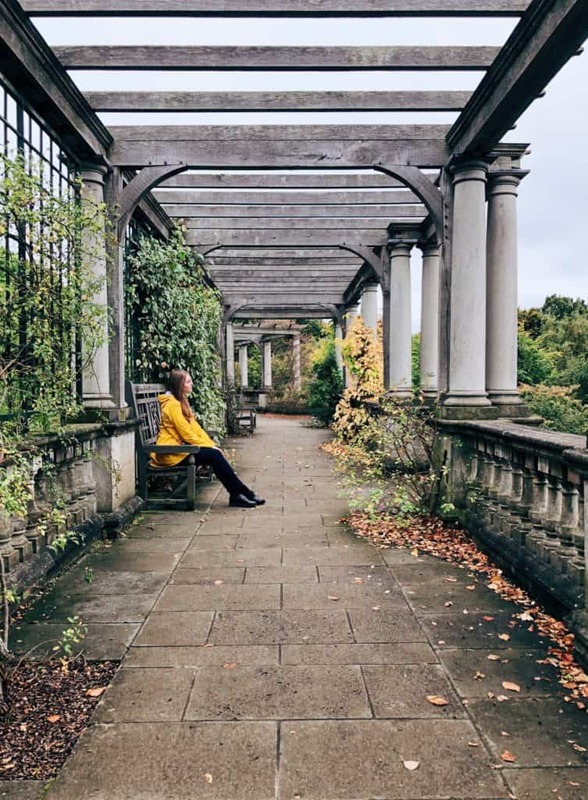 Later, however, I was expanding my list and managed to visit some incredible non-touristy places in London, which I would love to share with you! Looking for a hotel in London? The cheapest way to stay in London, however, is via Airbnb, so here’s a 30€ coupon for you, in case you haven’t used Airbnb before. We stayed in London using Airbnb 3 times and the cheapest option is renting a room in a shared flat around the Isle of Dogs – the area is pretty safe, not THAT far away from the city centre and has plenty of great places to visit in the neighbourhood. One of the most amazing places in London is undoubtedly both Richmond upon Thames and Richmond Park that is located just a short walk away. Why Richmond? It’s easy to get there (15 minutes by train from Waterloo or 45 minutes by tube via District line) and the town is just beautiful. Well, technically, it’s not a town anymore, now it’s a part of London (zone 4), but it has this lovely vacay feel around it. 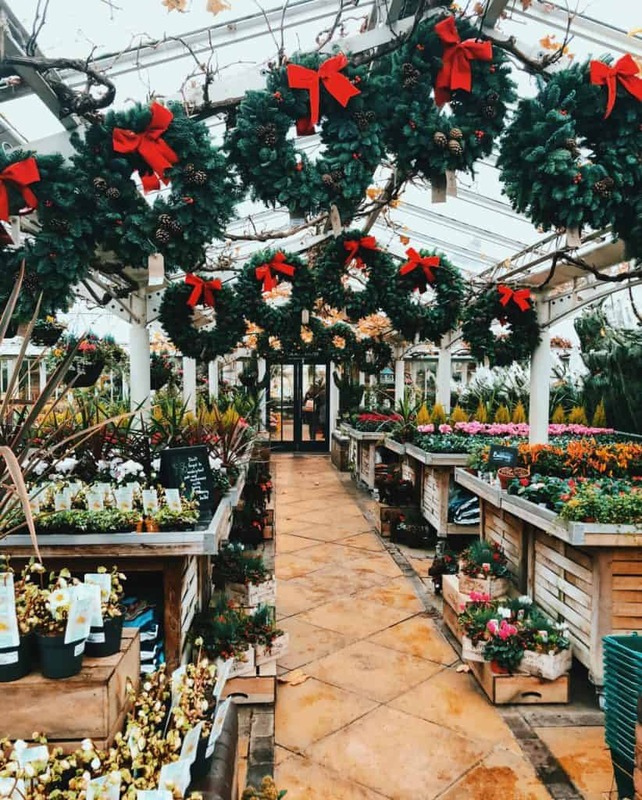 Richmond has plenty of nice cafes and brunch places, but the most memorable one is probably the Petersham Nurseries. 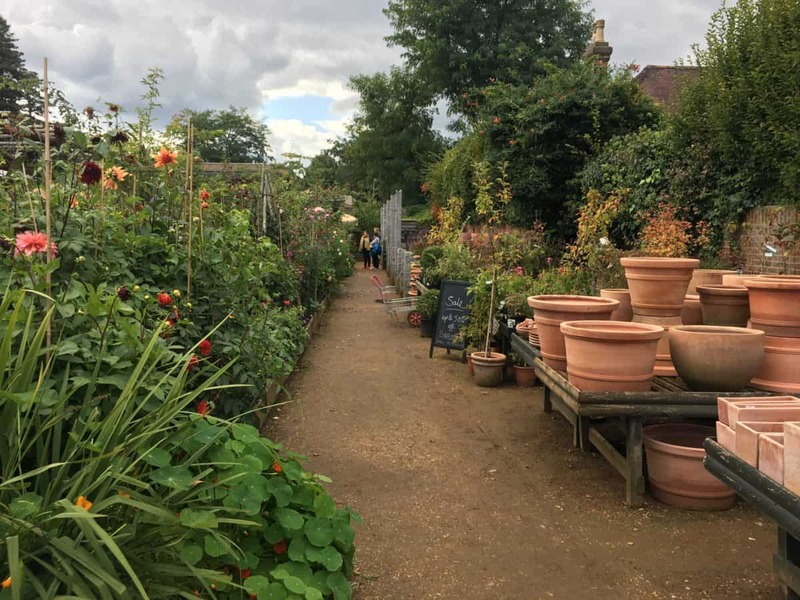 If you continue walking for 15 minutes after visiting Petersham Nurseries, you’ll get to the Richmond park. Richmond park is really huge, so you don’t need to see it all, however, the best part of the park is its inhabitants – beautiful deer. Yes, you’ve heard me – the park is full of deer wandering around! If you want to see more deer, however, head to the Bushy park, which has more than 300 deer wandering around. Don’t know how many there are in Richmond park, but I’ve seen about 15 (without walking too far). The next place in this list of places in non-touristy London is actually located not that far from Richmond. On a really nice and moderately warm English day you can walk from Richmond all the way to Kingston (like we did). The best thing about Kingston is it’s promenade and the views over the Thames river (it’s so lovely to walk there) and a huge shopping mall that isn’t as crowded as Oxford street but definitely has a lot of shops! There is also a large cinema, so after walking for nearly 1.5 hours, we got tired and decided to watch something in a local Odeon. Some people include Greenwich in the touristy London, but it’s way less famous than the most of the landmarks of London, soI decided to include it here. Greenwich is really gorgeous, but its main problem is its location. People who come to London for 2-4 days and want to visit all the landmarks in the express mode, simply don’t have 50 minutes to spend in the tube and DLR heading to Greenwich. Of course, there is a faster way via ferry (only takes 10 minutes or so), but not many tourists know about it. If you’re reading this post about non-touristy London, I assume that you aren’t an average tourist (which is awesome), so I definitely recommend you visiting Greenwich. Starting with the Greenwich market and finishing with the cute little vintage stores, Greenwich really has a lot of things to do. The Royal Observatory, the Maritime Museum and the famous Cutty Sark ship are also located in Greenwich (DLR Station Cutty Sark for Maritime). Don’t forget to visit the Greenwich park too! Shoreditch is the “coolest” district of London. 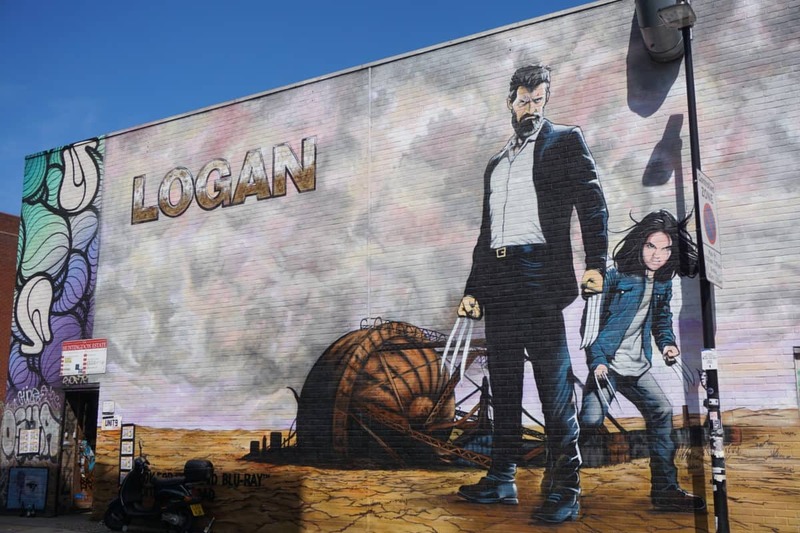 You can go there for street art, street food, hipster places and charcoal ice cream. Shoreditch is really close to central London, but it’s really different from the traditional posh London – you’ll see brick houses, where working class peeps used to live, as well as some dodgy places. Noneneless, Shoreditch now is the place to be – it’s really trendy, so the housing prices are really high there and it’s a place for the tech startups to rent their offices, though, according to a recent study, it’s quite pricey, as Shoreditch quickly became the most expensive startup hub in the world (based on the office rent price). If you want to stay away from hipsters and alternative culture, I recommend you heading to the Little Venice. Little Venice looks nothing like Venice, of course, but it’s still charming. Little Venice consists of a couple of canals with lovely bridges, picturesque pubs and a lot of boats. Little Venice is a really calm and quiet place, where it’s just nice to walk around, visit some brunch or coffee places and stroll around the Clifton Nurseries on Warwick Avenue! If you liked Little Venice, you will certainly like Chelsea – the most prestigious zone of London. There is no tube nearby – that’s because the residents of Chelsea don’t need metro. They all have cars or even personal drivers. Chelsea is not an average closed rich-people-zone. Not at all. Chelsea is all about narrow cute streets, beautiful white houses and nice restaurants almost on every corner. 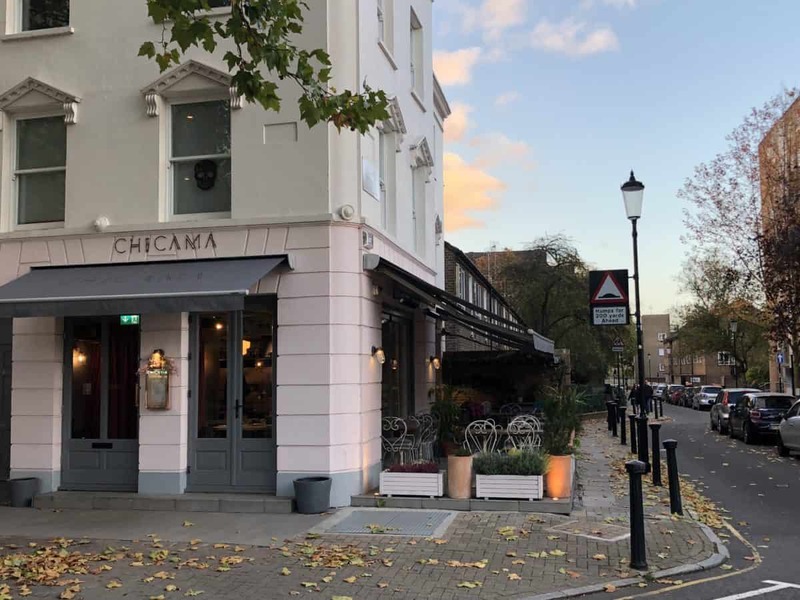 Some of the best restaurants and pubs in London are located in Chelsea, so you can combine walking around with a delicious lunch or brunch or maybe even a Sunday roast! The total opposite of Chelsea is probably Camden Town. See, that’s why I love London – it’s so different and unique. Nonetheless, you can experience it all in just one trip. Camden Town is home to one of the best street markets and rock bars where you can even meet some rock celebrities. A friend of mine saw Pete Doherty in a pub in Camden a couple of years ago. Camden is a bit trashy, dirty, but at the same time it’s cool. There is a huge market, where you can buy different rock merchandise as well as souvenirs and there is a really great food market! If you walk for 15 minutes from the Camden Town tube station, you’ll get to one of the most gorgeous places in London – Primrose Hill. Primrose Hill is a Northern part of the Regent’s Park and you can see the entire London from there. From Canary Wharf to St. Paul – yes, it’s quite far, but nonetheless it’s gorgeous. Also, Primrose Hill is home to the colourful homes from the Paddington 1 & 2 movies. Battersea park is really charming, especially in Autumn, when the leaves of the trees get yellow. 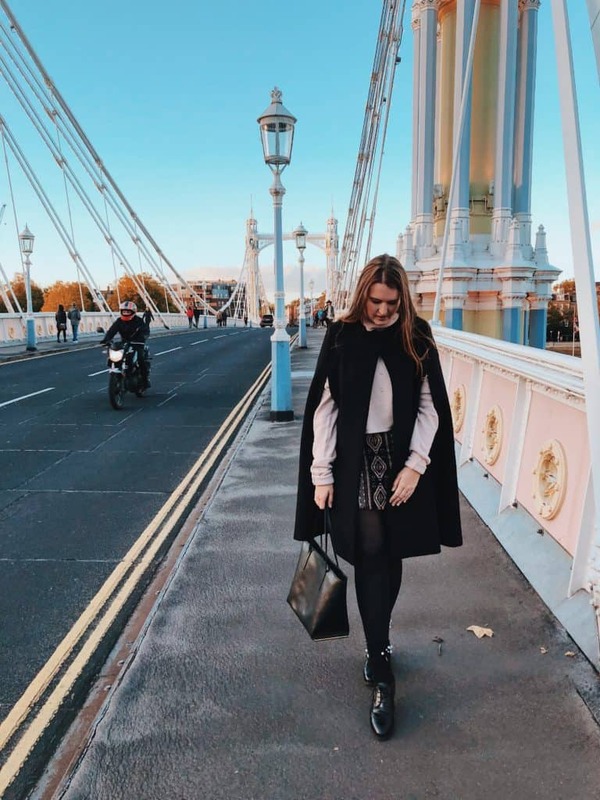 You can spend there a couple of hours and them head to Chelsea crossing the second most beautiful bridge in London – Albert bridge. One of my favourite off the beaten path spots in London is Hampstead. It’s a really posh district of London (but posh in a different way, not like Chelsea and South Kensington), but it consists of some really cute and beautiful houses. Just like Richmond, Hampstead feels like a different town rather than a district of London. 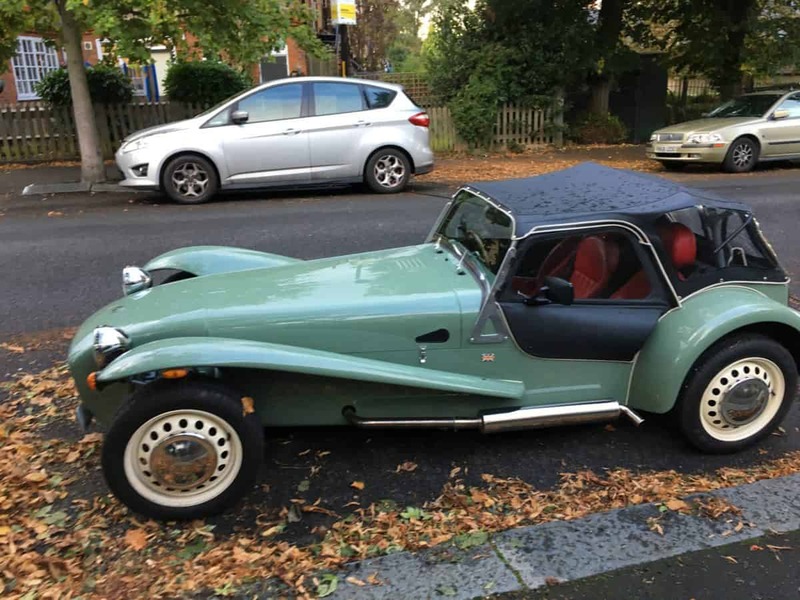 It’s just nice to walk around Hampstead, eat a crepe in it’s famous creperie and stroll around the beautiful buildings in the Hampstead Heath! Notting Hill got really famous because of the movie (called Notting Hill) as well as the Portobello Road Market, where you can buy some really awesome antiques and beautiful souvenirs from London. Also Notting Hill is home to some really impressive mansions and plenty of colourful buildings. That’s why you can see many photo shootings talking place in Notting Hill and bloggers walking around. Also, some of the London’s most popular brunch places are located in Notting Hill. I’ll name a few: Granger & Co, Farm Girl, Eggbreak. Located on the opposite side of London, Dulwich Village is another pretty and non-touristy spot to visit in London. I discovered it by chance: one day we had a free evening and decided to go for a walk. Since we live in Elephant & Castle (read an article about this district, if you have plans of moving to London at some point in your life), we decided to walk south. We walked all the way though social housing estates and reached Peckham (probably my least favourite place in London). We didn’t want to stay there at all, so we continued walking south and reached East Dulwich and the Dulwich Village. East Dulwich is full of cute brunch places, specialty shops and even has a huge impressive park near Dulwich Village. Now this might not be a typical place you’d love to go during a short visit to London, but if you’re in London for a month or so, it could be a great zone to visit. Clapham Common has plenty of great brunch places and a large park. From there, you can walk all the way to Clapham Junction, which is actually a great place to live. 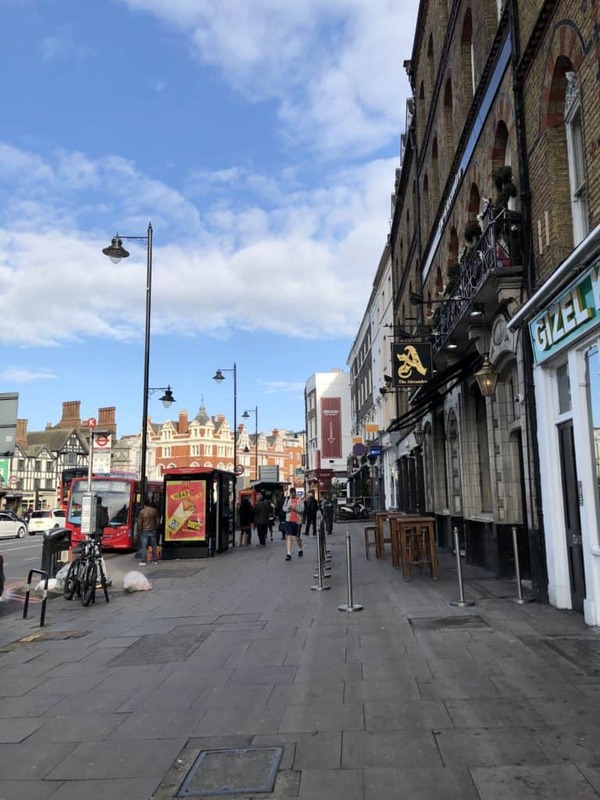 It has plenty of shops (including a big TK Maxx) and has a great connection to the city centre (I wish it had a tube station though). Okay, St. Albans might be already outside London, but it’s lovely place to visit. St. Albans is really pretty and is a great destination for a one-day trip from London! It’s always great to go to St. Albans on Saturday because of its lively market (which apparently has been there for hundreds of years and is pretty famous). And if you’re lucky to be in London when it snows or the temperatures drop below zero, St. Albans transforms into a winter fairytale location! And the last, but not least spot in the best of non-touristy London: 15 off the beaten path locations is *drums* is Kingly Court on Carnaby street. 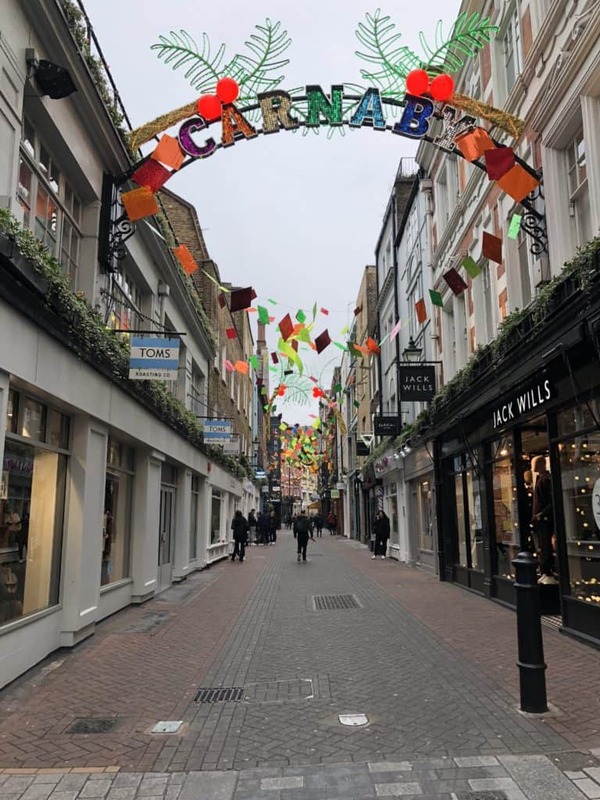 While many travellers and tourists actually go to Carnaby street (it’s a nice spot for shopping), not many know about the giant food court with some of the best places to eat in London hiding just there! Put Kingly court in Google maps and enjoy the great discovery in London. How much money do you need to live in London? Liked this post about non-touristy London – the best off-the beaten path spots in London? Save it on Pinterest and share it on Social Media!